The monthly jobs gain is below what the economy added for most of the year, but “it’s still way ahead of what the economy needs to keep up with the new, slow rate of working-age population growth,” said Jed Kolko, the chief economist for Indeed.com, a job-search site. The number of people entering the labor force increased only slightly over the month, continuing the trend of participation rates that have not budged since 2015. That’s partly the effect of baby boomers’ heading into retirement, and the fact that the rate hasn’t gone down is a sign of the labor market’s continued appetite for new workers. But it may also suggest that there are still people who haven’t come back into the work force following the recession, or that they’ve tried but have been unsuccessful. “What’s curious is why employers who are screaming that they can’t find people to hire aren’t pulling those people back in,” said Ian Shepherdson, chief economist of Pantheon Macroeconomics. “2017 was a very strong year for the labor market,” Mr. Kolko said. At the same time, job growth for the year was slightly less robust than in 2016, under President Barack Obama. And most economists think presidents do not generally determine the course of the economy, though that has not stopped Mr. Trump from taking credit. In a Twitter post on Wednesday, the president pointed to the 4.1 percent unemployment rate as evidence that the economy is “only getting better!” When he took office last January, the rate was 4.8 percent. It is too early to measure the hiring effects of the corporate tax cut passed last month, but Mr. Trump’s agenda may be having a positive impact on the economy in other ways. His push to dismantle regulations on businesses seems to have emboldened corporations to start pouring more money into machines and plants, which is the kind of spending that drives broad growth. 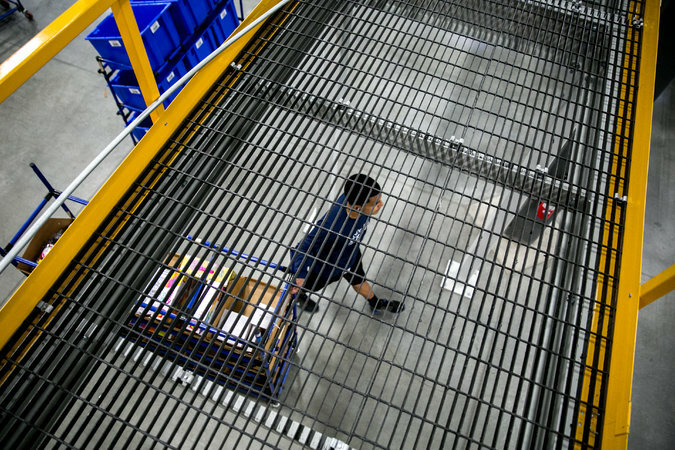 Employers of warehouse jobs have been vying for pickers, packers and shippers by offering new perks, such as on-site child care. Perhaps the most closely watched number in the report was the change in wages from the previous December. Year over year, earnings increased by around 2.5 percent. Workers in financial services and the leisure and hospitality sectors saw the biggest increases over the year, with wages in both industries ticking up by around 3.6 percent. “We don’t see our clients being willing to commit to wages increases on a permanent basis,” said Bill Ravenscroft, a senior vice president at Adecco Staffing USA. The agency employs around 60,000 workers, hiring more during the holiday season, and places many in distribution centers and warehouses often used by e-commerce giants. Those companies have increased pay for workers in hot warehouse markets, such as Memphis or the Inland Empire in Southern California, where they are competing with many other companies crowded into the same area, Mr. Ravenscroft said. But instead of increasing salaries across the board, employers are vying for pickers, packers and shippers by offering new perks. Logistics companies have begun providing on-site child care, or reimbursing employees who need to put their children in day care while they work. Some companies are entering workers in raffles every week to win laptops, televisions and tablets, or are bringing food trucks to their warehouses and paying for employees’ lunches. There are signs beneath the surface, though, that more widespread wage growth may be around the corner. In areas where unemployment has dipped below the national rate, pay has begun to accelerate. Cities where joblessness is 3.5 percent or lower have also witnessed an impressive 4 percent year-over-year increase in earnings, Mr. Shepherdson said. Bob Peterson, the chief executive of Melton Truck Lines, said he had no choice but to increase pay for his 1,600 drivers this year. “With unemployment this low, anyone worth their salt has got a job and probably a darn good one,” Mr. Peterson said. Melton operates in 48 states and has offices in five. The tight job market has been especially tough on Mr. Peterson, because he requires a drug test for everyone who comes through the door. Many fail, especially after several states legalized marijuana for medical or recreational use. He says he has to talk to 250 applicants to hire one employee. Mr. Peterson has not given out raises in two years, he said, because when he has asked his clients to increase their rates, they have threatened to hire another trucking company. He is planning to increase salaries by 10 percent in 2018. Construction, a middle-wage, middle-skill sector, is among the areas that has shown strong job growth in recent months. Over the last few months, the industries that have been performing particularly well have been construction and manufacturing — middle-wage, middle-skill sectors that had been lagging. Following a disappointing 2016, manufacturing added a solid 196,000 jobs last year. 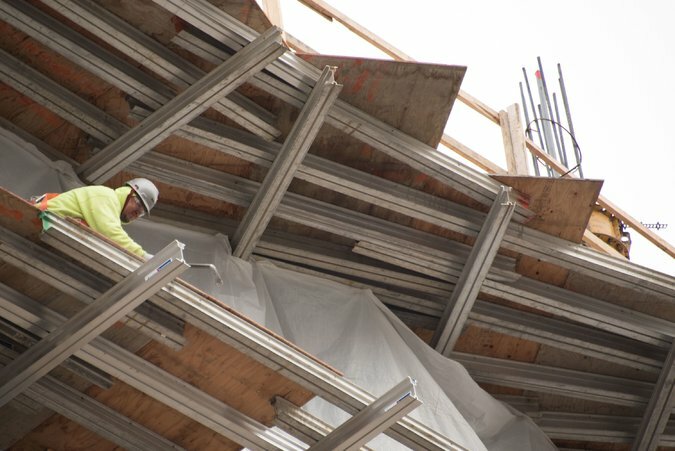 Construction payrolls increased by 210,000. Mining employers also posted solid gains throughout 2017, bucking a trend of job losses in recent years. Manual-labor positions are the kinds of jobs that Mr. Trump has promised to bring back in droves, so the uptick could be politically important. The crash in oil prices in 2014 was particularly hard on jobs in the mining sector — which includes support services in oil fields — and had ripple effects on construction and manufacturing, partly because American companies make much of the world’s mining equipment. Oil prices have begun to climb, and that may be one piece of the expansion in all three sectors, economists said. The rest of the world is also in the midst of a strong recovery, helping to drive an American uptick in productive blue-collar work. Retail, on the other hand, finished the year in a slump. The industry — a huge employer across the country — has been struggling to contend with the rise of e-commerce and had a bad month in December, despite the rush of holiday shopping. The sector slashed 67,000 jobs over the year.